¡Oh mente! Transfórmate en Sri Ramakrishna. 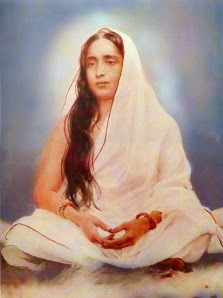 English translation: Just like the Mother Sarada, O mind, transform yourself in Sri Ramakrishna. In the contemplation of the Name, Form, Quality, and Spirit of the Ideal, dive deep really.